AKIPRESS.COM - South Korean Foreign Minister Kang Kyung-wha has embarked on a three-day trip to Kazakhstan and Uzbekistan, KBS World Radio reports. 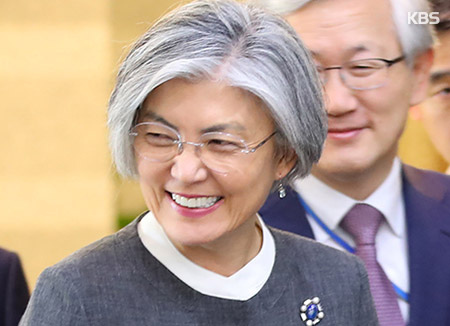 Speaking to reporters at the airport before departure on Monday, she said that five Central Asian nations are important to South Korea's New Northern Policy initiative. The five states also include Tajikistan, Turkmenistan and Kyrgyzstan. Seoul's Foreign Ministry said Minister Kang will meet with her Kazak and Uzbek counterparts on Tuesday and Wednesday and discuss strengthening bilateral relations and cooperation on the world stage. She will also exchange views on Korean Peninsula affairs ahead of planned summits between the two Koreas and between North Korea and the United States. When asked if she has plans to meet with North Korean Foreign Minister Ri Yong-ho who will be visiting Tajikistan around the same time, Kang said she has no such plans.